Welcome to Little Hugs Baby Boutique – your one stop online baby store! Little Hugs is a online baby store based in Auckland New Zealand! We’re all about finding great products to support you through your pregnancy to when baby is earth-side. From breast pumps to pregnancy journals, baby milestone cards to teething products, we’ve got everything you and your baby will want! Gifts – Do you need a baby shower gift? When it comes to gifts for a new Mum, we’ve got you covered too! We make baby gift shopping simple with all our awesome baby gifts and accessories. And don’t forget there’s free NZ delivery for all orders over $95. So who’s the face behind Little Hugs? Little Hugs is solely run and operated by me, Bridget! I’m a mum to 3 kiddies two little ones and one big one. Did you know that Little Hugs actually started off as a baby clothing store back in 2014. And here we are today, I’m totally blown away with the support I’ve had from my customers which has got me to where Little Hugs is today! 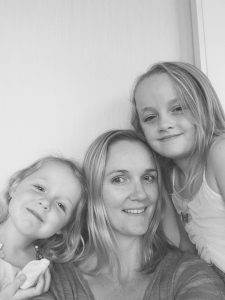 I’m very passionate about supporting small New Zealand and Australian businesses, there are so many talented creative mums out there and I love stocking and supporting their brands. As a new Mum or Dad, you only want the very best for your little one so I personally hand select all our mum and baby products. I’m lucky to stock such a fantastic range of high quality brands such as Sleepytot, Babu, Kippins and Haakaa. I absolutely love what I do and I love finding new brands and products to share with mums to make life just that little bit easier. I’m here to help so please feel free to send me an email at info@littlehugs.co.nz if you need any advice on choosing the right baby products for you or your little one! And if you’re in Auckland I always attend Mary’s Market so please pop in and say hello. Thanks so much for supporting my dream and business.